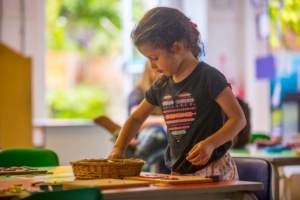 The Nursery School offers a full range of learning and development opportunities that meet the needs of children and their families, building upon the historical strengths of the Nursery School. We believe that outdoor play supports all areas of learning and is an integral part of children’s development. At Chelsea Open Air children have access to the outdoors all year round, no matter what the weather! 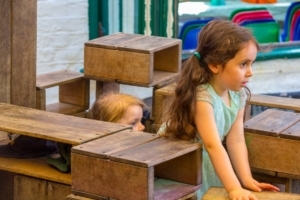 We understand that children learn everywhere; we support each child to become lifelong independent learners through play that is free flow, allows risk taking, experimentation, awe and wonder in a fun, colourful and creative environment. We provide a challenging learning environment that allows children to thrive with dignity and respect, with a love and understanding of their own and others spiritual and cultural beliefs. We work in collaboration, valuing and celebrating the team’s wealth of experience and diversity to successfully deliver the ethos of Chelsea Open Air. We are pioneering, regularly challenging what already exists, forward thinking, breaking down boundaries and stereotypes. 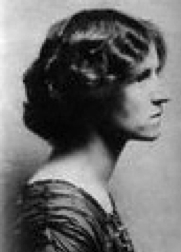 The School was set up in 1928 by Dr Susan Isaacs and Natalie Davies. The name ‘Open Air’ dates from that period and was part of a countrywide educational movement. The ‘Open Air’ philosophy is still important today when our children seem to lack safe but challenging space to play in. In the 1920’s it was first recognised educationally, that outdoors is as valuable a learning environment as indoors. The Open Air philosophy also recognised that many city children did not have enough access to fresh air, sunlight and exercise for healthy development. In the twenty first century the garden is still central to our philosophy and combines with our indoor areas to provide a complete and balanced learning environment. In 1978 the school became part of the Inner London Education Authority and is now state funded. In 2006 it became one of the first children’s centres in the Borough providing a ‘one stop shop’ for local families, babies and young children. The School became a ‘linked’ site to the Children’s Centre Services in the South Locality and in 2016 we established our own thriving Community Programme. The School is housed in a timber framed building dating from 1587 and a seventeenth century workman’s cottage which along with other houses in the street became artists’ studios, in our case, for the painter Benjamin Haydon. The school garden dates from the beginning of this. The Nursery School is run by the Royal Borough of Kensington and Chelsea who provide the staff, buildings and equipment. It operates on the basis of two 15 hour sessions – morning and afternoon, 30 hour sessions and paid additional services. The children are aged between three and four years and there are up to 70 places in total, with a maximum of 52 in each session. Children are offered a place at Chelsea Open Air nursery from the September or January after their third birthday. The School provides a free flow environment with access to indoor and outdoor play through the day, all year round. Children at Chelsea Open Air are from a very wide range of social, cultural, economic and racial backgrounds. This includes those who have special educational needs, English as an additional language and those who are gifted and talented. We respect and value this diversity and incorporate many aspects into our school life. We believe that all children should grow up together learning to enjoy and accept other people’s differences.